In its earliest days, the American “appetizer” was all about small dishes, flavorful meats and cheeses, the meal that preceded the main course. Nowadays, appetizers are the stars of any dining experience. From spicy tuna tartare to bourbon fries, these Delaware establishments plate up a mean appetizer. Here are our favorites. At Two Stones, the gastropub food goodness includes braised lamb shank, foie gras burgers, crispy brussels sprouts, “dirty” house kettle chips, and signature mussels. Plus, there are wings, crispy fish or chorizo tacos, fry piles (truffled, hot & spicy, or scrapple), and so much more. And we haven’t even yet mentioned a special menu called the Chef’s starters, which includes roasted butternut squash bisque, duck confit croquets, crab cakes, and more. Fresh off another Best of Delaware Award by Delaware Today, Big Fish got its start in 1997 and is still family-owned and operated. This place is well-known for fresh fish, comfort food, and original and traditional seafood recipes, and it is famous for two things: huge portions and low prices. It’s no wonder Big Fish is a local favorite, and their starters menu offers popular options like a raw bar, seafood pizza, fried oysters, Alaskan cod tacos, and more. Unlike many restaurants that will charge an extra fee for sharing plates, at Piccolina Toscana sharing is encouraged, especially with their small plates menu. Self-described as “rustic contemporary,” you’ll find painted brick walls, and hand-scripted Italian recipes displayed around the dining room. Plus, we are talking about starter plates that include spicy tuna tartare, grilled octopus, caramelized onion & goat cheese tartlets, crab hummus, and more. If you are looking for a healthy dose of Spanish culture, authentic cuisine, hometown hospitality, and small plates, look no further than Ole Tapas. Established in 2008, this family-run spot featuring sharing dishes like braised pork belly, filet mignon, gazpacho, paella, Spanish meats and seafood, house-marinated Spanish olives, fried artichokes, and more. Another Best of Delaware Award Winner, Skipjack is known for their signature cocktails and their seafood dishes. Plus, the appetizer menu offers some mouthwatering creations in the entire state, including their ever-popular Artisanal Cheese starter or their Wild Game or Seafood “Charcuterie” Board. Of course, you will find other delicacies as well, like smoked duck spring rolls and buttermilk fried calamari, to name a few. Established in 1979, Klondike Kate’s saloon was formerly a gas station but before that, it was an inn, a jail, a harness shop, and a barbershop. Now, the restaurant is family owned and serves up bar food, pasta, and fish. With an extensive appetizer list, Klondike Kate’s menu includes an appetizer sampler plate, loaded fries with crab and house cheese sauce, cheesesteak eggrolls, Bavarian pretzels, fried onion petals, and ahi tuna wraps. With a focus on fresh, local ingredients, Tonic boasts an appetizer menu that will make your mouth water. 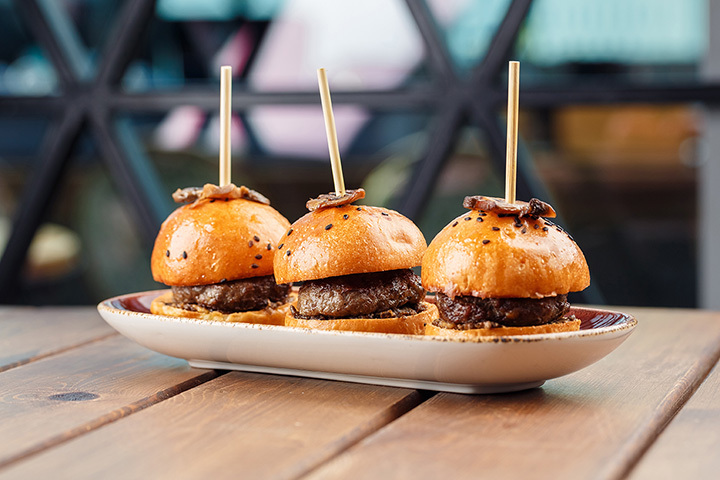 Starters include fried pickles, fried manchego, crab & artichoke dip, bacon-wrapped beef, angus beef sliders, tuna tartare, raw oysters, lamb chops, pork belly, and more. Plus, their French onion soup is not be missed on cold blustery days, and you’ll get your choice of 16 cold draught beers on tap. At Corner Bistro, they have a saying: “Eat local. Real local.” That is because Corner Bistro tries hard to put forth a menu based primarily on farm-fresh local meats and produce whenever possible. So, you would bet that there are some pretty delicious apps to be had, and you’d be right because we are talking about crab & red pepper bisque, duck meatballs, lobster mac & cheese, sweet potato gnocchi, and a locally famous chef’s selection cheese plate. Established in 1972, Stone Ballon Ale House takes its name from a popular rock music performance hall and now serves what they call “comfort food, reimagined.” Appetizers here include chicken fried deviled eggs, beef & bacon lollipops, tuna poke, and bourbon barrel fries. Plus, they have beer; lots of beer. Peruvian Cuisine is becoming ever-popular in the States for its use of fresh seafood and Latin-inspired flavors. And, when it comes to apps, there’s one that on this menu that speaks directly to Peruvian flavors. The Ensalada de Camarón is a delicious lime-juice ceviche that uses raw shrimp, red onions & peppers, corn, and cilantro, and it is a rare treat you are not likely to find elsewhere.